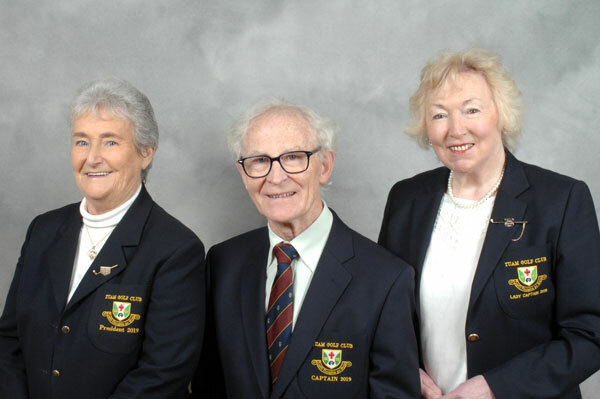 President Sr. Agnes Curley, Captain Rae Gilmore, Lady Captain Kitty Monaghan. The Tuam Golf Club lotto jackpot of €20,000 was won by Noel Smyth, Corofin. (Back) Ivor Gleeson (Chairman), Ann Treacy (P.R.O. 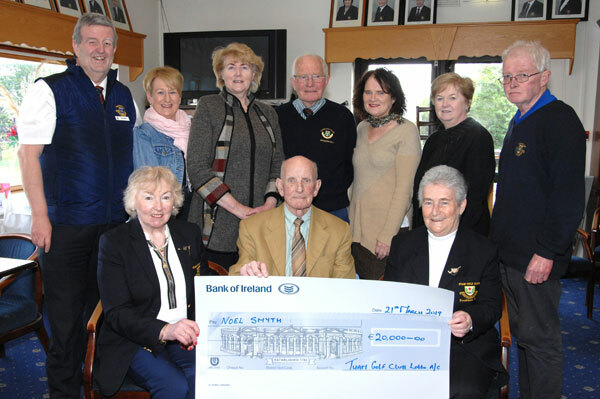 and Lotto Committee), Dolores Campbell (Honarary Secretary), Brian Flesk (Club Treasurer), Evelyn Ronayne (Lotto Committee), Mary Burns (Secretary), Richard Canavan (Lotto Committee). 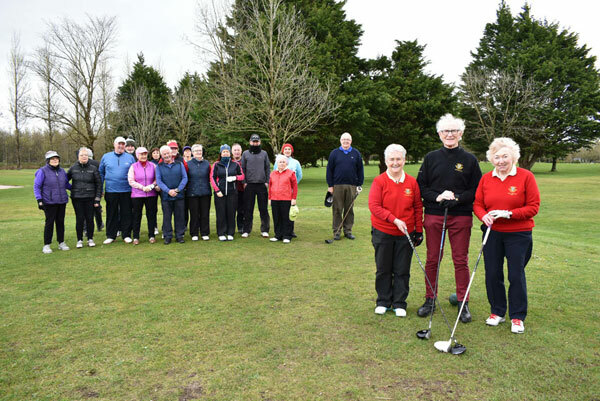 (Front) Kitty Monaghan (Lady Captain), Noel Smyth and Sr. Agnes Curley (President).